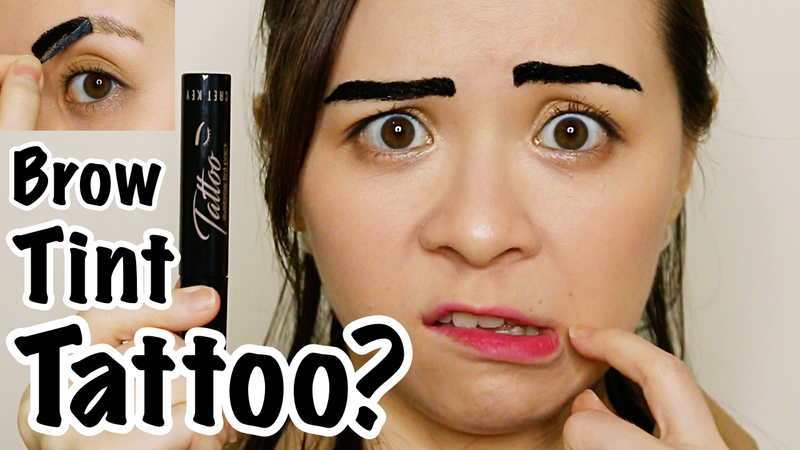 JQ Talks: I Tried Secret Key Brow Tint Tattoo Pack! There was such a hype about tints last year that I believe the phase has left this year. I was sure if I wanted to do this video but since I've already bought them, why not. At least I'll finally know what they really are. 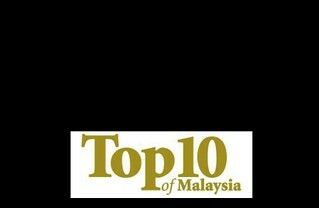 Check out my video review below for more visuals. Let's get directly into it. The one thing that shocked me was the amount of waiting time. 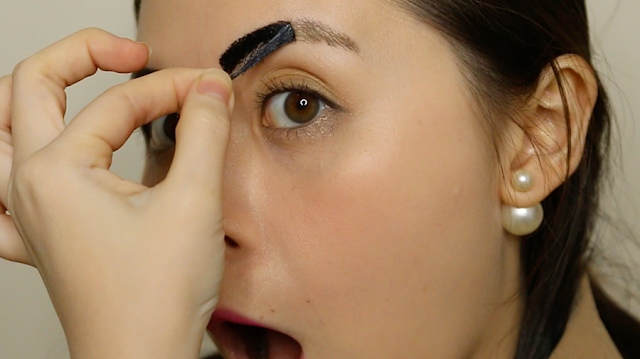 The day I had the intention of trying this out, was the day I realise I had to wait for 2 hours before I can peel this crayon sinchan brows off. I've never tried the Etude House version thus I won't be able to compare to that. Thankfully, I already had my eyebrows groomed the week before I tried this out, making it easy for me to just apply on the shape of my brows. Lining and shaping them was really the toughest part. To me, the product smells like glue and when you try to wipe it, it's green. Additionally, you'll have to work quickly as the products gets tacky fast, making it even harder to make an opaque layer. After getting it on, ran around the house, did other things for 2 hours. It smells bad but it didn't sting my skin or anything. When it's time to peel off, I'm not sure if they actually did pull off some of my natural brow hair but it looks like it. Anyway, peeling off was well, a little anti-climatic. I don't have a fetish for those. It got a little messy and my skin somehow was tinted green. It's not obvious on camera but in person, it was green. In the picture below might look good (after much cleaning up) but I tell you, it's really not worth it. It only lasted me for max. 2 days. It may look a little fuller, I still have to fill them up to make sure it looks right. For something that doesn't last that long but I had to wait for 2 hours to complete the process, I'd rather just do my eyebrow everytime I do my makeup. No thanks.